There are only a handful of very large bird species around today, but as intimidating as an ostrich might be when it’s staring down at you from eight feet high it’s nothing compared to the massive birds that roamed the Earth thousands of years ago. The title of largest bird that ever lived has long been held by a specific species of elephant bird that lived between 10,000 and 1,000 years ago, but a new challenger has just usurped the throne. 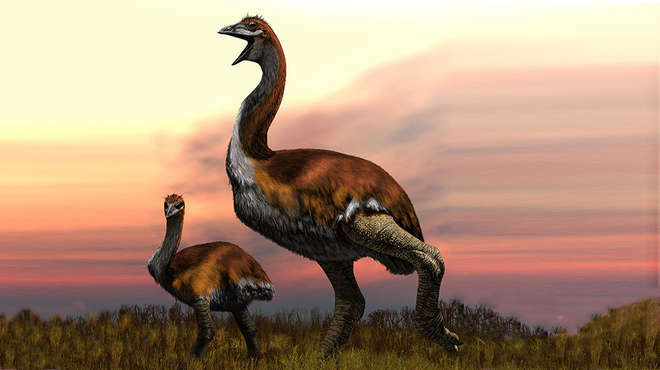 Vorombe titan, which quite literally means “big bird,” is now considered to be the largest bird species that ever lived. Researchers explain how they came to that conclusion in a new paper published in Royal Society Open Science. As the Zoological Society of London explains, the first species of elephant bird to gain attention from scientists was Aepyornis maximus, and it held the title of world’s largest bird for a long time. Around the turn of the century a paleontologist discovered the remains of an even larger bird, describing and naming the new species Aepyornis titan.